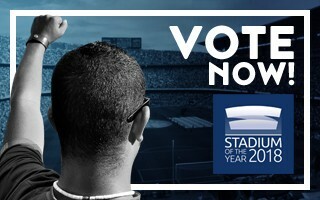 Stadium of the Year: Your time to vote! 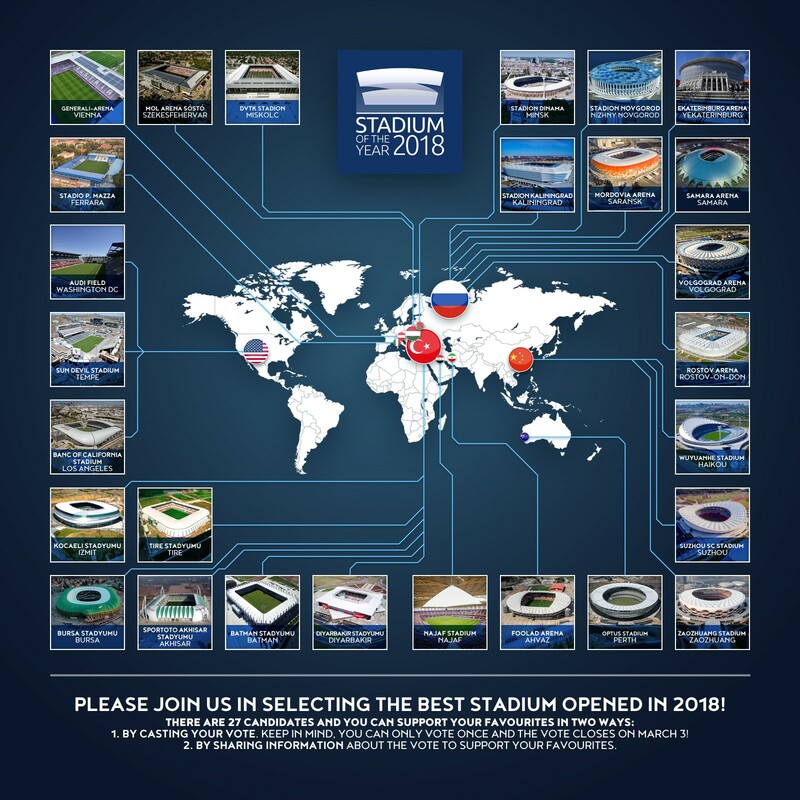 Who has the best stadium opened in 2018? The answer, as every year, lies within you, your smartphone, laptop or PC. You decide by telling us, which venues impress you the most. The choice is huge, from several million dollars to over a billion. From 12,000 to 60,000 seats. From USA to Australia, with Iran and China between. We don't set the criteria, we just give you the information to judge upon and you make the decision. The important thing is that you make your mind up before March 4, because the voting platform will close on midnight, March 3 [CET]. In order to vote, please select 5 (yes, five!) most interesting stadia, giving them between ⭐️⭐️⭐️⭐️⭐️ (most favourite) and ⭐️ (last one worth honouring). Then click on the green Vote! Button and you're done. Please mind, you can only cast one vote so please choose wisely. The stadium with largest supposed will receive our Stadium of the Year 'Public Award', celebrating enthusiasm it generates in the wider community. Second Stadium of the Year award will be given by the Jury consisting of experienced stadium architects. Their favourite will be selected based on evaluation of all 27 candidates and selection from 10 finalists. Both winners (or, perhaps, the first double winner!) will be announced around March 7-8, depending on the voting process.